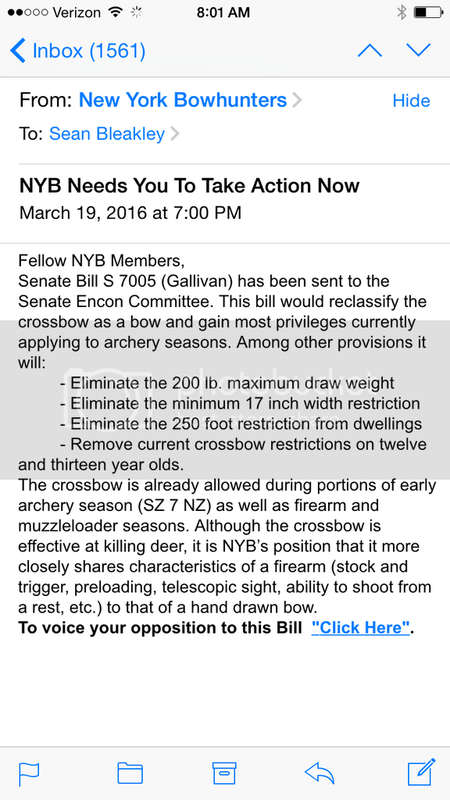 Did anyone else get this email from NY Bowhunters? I really hope that we can stop the bleeding! Yes, I received it yesterday. Sent the electronic letter and received a generic letter back from Sen. Murphy.